The South Brooklyn Weightlifting Club (SBWC) was founded in 2010 in Red Hook, Brooklyn by Paulie Steinman. It is the oldest strictly dedicated powerlifting and weightlifting gym in the the 5 boroughs of New York City. In 2012 we moved to Gowanus, Brooklyn and we have been here ever since. In the summer of 2018 we moved/expanded yet again to a vastly improved space that is located across the street from where our home had been for 6.5 years. SBWC is also a USA Weightlifting registered Weightlifting Club and a USA Powerlifting certified Regional Training Center. At its core, SBWC is a local and independently owned private gym that specializes in strength and conditioning through participation in the barbell sports of powerlifting and weightlifting. Our system is simple and our model has been specifically proven to work since the inception of SBWC. By no means did we invent barbell training, but we are continuously striving to streamline and improve the way that we all (need to) train to get better and stronger. Machines, gimmicks, and hard sales pitches are replaced by a diverse, knowledgeable, and friendly coaching staff. We tend to let our facility, coaching, and experience do the selling. Over the years SBWC has developed a distinct ability to train anyone interested in improving their lives through barbell sports. This includes ages 8 to 80 and any and all genders and skill levels. We have the expertise to work with absolute beginners to seasoned world champions. We can also work with lifters who are coming back from an injury and those who need to first build their strength before they put a barbell on their back. We help our members achieve their goals by training them in small, coached semi-private groups of up to 10 lifters. The lifter to coach ratio is generally no more than 5:1. Ultimately there is nothing like SBWC and you must truly experience it in person to even begin to get a sense of what you have been missing. Please contact us to learn what starting path is best for you! Paulie Steinman started the South Brooklyn Weightlifting Club (SBWC) as a side gig in 2010. At the time there were no other dedicated Powerlifting and Weightlifting Gyms in Brooklyn or any of the other Boroughs of New York. Paulie needed a place for himself and his friends to train. Since its humble beginnings in a warehouse in Red Hook, Brooklyn, SBWC has grown in size and reputation as the premier barbell sports and strength training facility in Brooklyn and New York City. Paulie has committed thousands of hours to honing his craft and he is adept at coaching people of any age or skill level. He is equally comfortable coaching an absolute novice in his gym as he is coaching an athlete at a world championship. 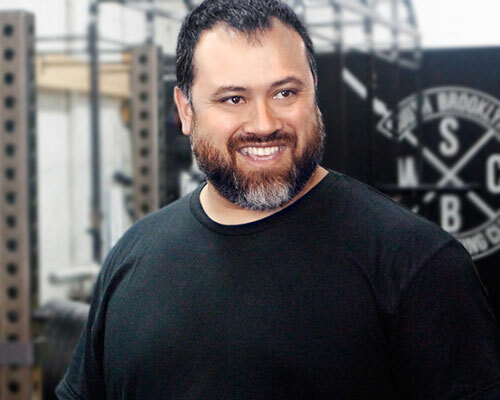 His patience and his extensive knowledge make Paulie one of the most sought-after powerlifting coaches in the country. Becca’s work as a strength coach is the culmination of a lifelong dedication to peer tutoring, movement, and interest in therapy and social work. She has been a part of South Brooklyn Weightlifting Club (SBWC) since its beginning as a private gym with a single rack. 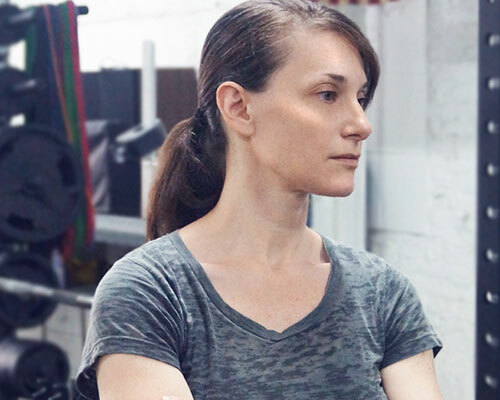 Becca sees SBWC as a microcosm of Brooklyn itself, and loves to guide its lifters through the challenging but rewarding process of strength training.